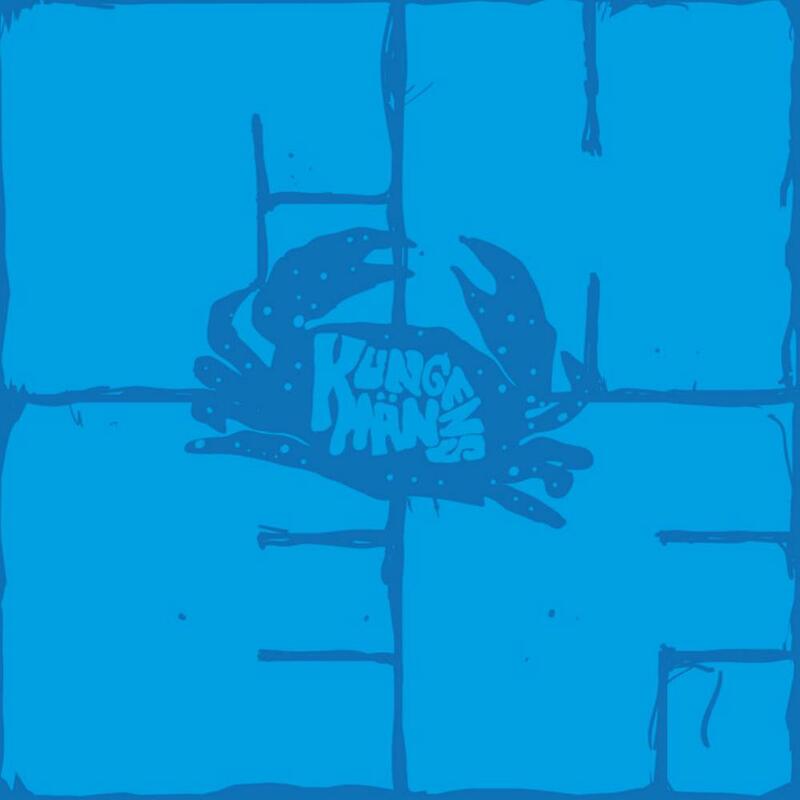 Kungens Man is a psychedelic/space rock band from Stockholm, Sweden formed in 2012. Since 2015, they have released 8 full length albums, including this album released in February 2019 titled "Chef" ("Boss" or "Chief" in English). The band currently consists of 3 guitarists, a keyboardist, bassist and drummer. This album is released digitally, on CD and on vinyl. It consists of 4 tracks that together have a run time of just over 40 minutes, so each track is quite long. The first track is "Fyrkantig Bojelse" ("Square Addiction" in English). This is an 11 minute exploration into Krautrock with a steady, yet andante tempo (the steady 4 / 4 beat of motorik, pioneered by the band "Can"), a pulsing bass and sound exploration and improvisation with the guitars. The track intensifies as the guitars interact with each other, building momentum without really increasing the speed. The sound gets more wild, but never chaotic. As the intensity grows, so will your enthusiasm for this sound. "Oppen for Stangda Dorrar" has a slower beat with psychedelic guitar swirling around the drums and a bass style drone. Eerie and spacey effects push the intensity forward slowly. The dark atmosphere continues to build creating heavy electronic effects as the jangly and squealy guitars continue to push on for this 8 minute track. "Man Med Medel" ("Man With Funds" in English) begins with a fuzzy bass line and a fast beat that creates a driving and enticing rhythm. This one should get your head bobbing right away. When the guitars start to play, you know they are going to develop into quite the assault in this Space Rock epic. As it continues, the guitars get wilder and heavier until they become unhinged by squealing effects and squawking sounds until it erupts into noise. "Eftertankens Blanka Krankhet" ("The Shiny Disease of Thought" slows things down again with a hypnotizing beat and swirling guitar patterns playing around each other. This creates a psychedelic and hypnotic feel to the 11 minute track that takes it's time rolling along with mid-eastern inspired improvisation. About halfway through, the guitars begin to argue a bit increasing intensity without increasing the speed or producing too much volume and eventually dropping you off somewhere in space as it continues on its journey fading away into oblivion. This is a great album showcasing 4 different styles of this band, krautrock, dark psychedelic, heavy space rock and a more meditative side. The tracks are well developed and any lover of psychedelic and space rock will really enjoy this. It works best as background or meditative music, but be aware there are some loud sections in there. The four long tracks are probably a bit too meandering for my taste, but I did enjoy most of the music. It's great for the style of music and the band is quite tuned in to each other and do a great job of not allowing the intensity to always increase speed, but instead allowing the listener to float along in bliss.